Your home’s water heater is a crucial appliance. Whenever required, it should always receive urgent attention and repairs. A delayed repair may result in a leak or severe damage to the heater and your home. As you may know, there are few things worse than water damage. Watching for the telltale signs of a replacement is vital. To do that, you need to know the signs! Take an occasional take a trip around your water heater unit and look for signs of pooling water. If you notice any, look into replacing the inner tank as soon as possible. A leak may quickly grow in size and cause significant flooding should the tank burst. The primary reason for a tank leak is the metal inside cracking. 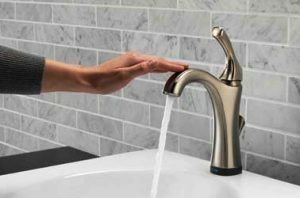 If you notice unusual noises, such as popping or loud cracks, your water heater may require replacement. You may occasionally hear a loud staccato of sound, which is due to mineral deposit buildups. As the residue grows, so will the noise and chances of a leak. It’s time to replace the water heater. Warm, not hot, water leaking from your faucets means the water heater cannot correctly heat its supply of fresh water. Lukewarm water is a telltale sign you need a replacement. If you’re spending a lot of money on repairs, it’s better to invest in a replacement system. You’ll save money in the long-run. If you suspect an issue with your water heater, consider a replacement. Contact Dutton Plumbing today for professional service. In fact, call us now to schedule a consultation promptly!